The benefits of olive oil are widely known and have been used by people for centuries. Today, olive oil has many uses aside from cooking and can be found in soaps, hair products and skin care items. Are you surprised your beauty products contain olive oil? Keep an eye open and you’ll find that it’s much more common than you might have thought. Here are a few reasons why you may want to consider using this miracle fruit for the many benefits olive oil offers the body. Olives contain a lot of vitamins and minerals that are proven to soften the skin. Even on areas like feet and elbows that can get extremely dry and itchy, olive oil will work to smooth over the patches in a relatively short amount of time. If you do plan to use it on your face or body in its natural form, be sure to use a few drops of oil at a time so you don’t end up looking and feeling greasy. While you may question the benefits of adding oil to your already oily skin, keep in mind that you’ve already tried so many other remedies and this new one might just do the trick. Olive oil contains hydroxytyrosol which is tremendously powerful when it comes to fighting inflammation. In addition, the oil can help to repair damaged tissue so that you have less future breakouts. Again, be sure to use a few drops at a time to avoid getting greasy. A few years ago, a friend of mine told me that the reason she didn’t have a single stretch mark after having three kids was because she rubbed olive oil all over herself before she went to bed each night while she was pregnant. At first, I thought that maybe she was telling an old wives tail. However, after doing my research, I found that women have been using this trick for centuries to make their skin suppler—reducing the possibility and appearance of stretch marks. The vitamins, minerals and antioxidants contained in the fruit are all the reasons for its goodness. 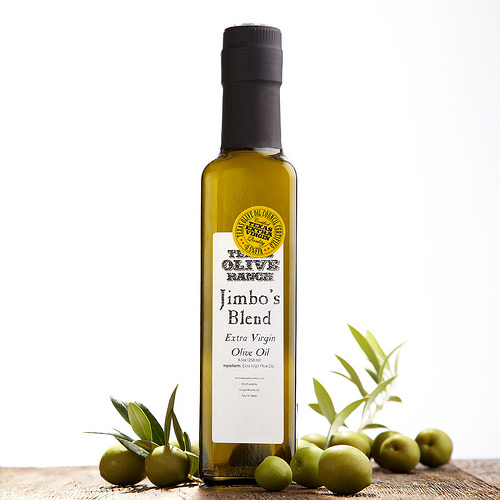 Did you know that one of the benefits of olive oil for skin is its amazing healing powers? If you find that you’ve laid out in the sun for a little while too long causing you to burn or have undergone laser hair removal treatment and have irritation, all you have to do is apply some olive oil to your skin. Olive oil has been used for a long time as a quick and effective way to heal the skin and reduce redness. It’s important to do anything we can to make sure we keep the possibility of cancer at bay. One of the best natural tools that you have at your disposal is olive oil because it contains antioxidants that fight free radicals and protect your skin. While all olive oils will benefit the skin, you will see the best results when you use extra virgin olive oil because it hasn’t been processed as much as the other types available on the market and it still contains the nutrients that make it worth consuming and using.